Ah, I hate breaking the consistency of Weeknotes, but with 1210 applications, and then being poorly on Friday trying to fight off getting properly flu-sick, there’s been a slight delay. It’s got to that point where *all* we are doing is reading applications as my Tweet at the beginning of the week highlighted. With 1210 applications to get through there is little time for much else! I’ve got a feeling I will also be spending some of my Christmas holiday’s writing up all the common themes and patterns that are emerging, because whilst we can’t fund a lot of what’s come in, we can ensure that we build up a picture of what the sector needs more of. I’m really committed to that as per my Tweet. Even though we are buried under a mountain of applications, it was still important to carve out time for our first team day. It was the first time we had all met in person — Amy arrived from Cardiff, Cath and Joel from Newcastle, David from Birmingham and Billy and I from the London office. Tom and John are also part of the team at the moment but that’s all changing in the new year — though Tom still joined us for much of the day. I designed the day to include the following activities and at the end of this post I’ve linked through to a folder where templates for all the activities are available. Introductions to each other through an exercise I learnt when training to be a CTI coach back in 2006. It’s called Origins & Influences and requires everyone to draw their origins, their influences and what matters to them. It’s a different way in to getting to know each other that draws out people’s values and beliefs. A conversation focussed on diversity and privilege. This feels so important because as a team we’re making funding decisions that require an awareness of our biases and privileges. For the Privilege Questionnaire I drew on one that Kylie Havelock talked about in these slides and a Buzzfeed one. For the Diversity Questionnaire I used the one we were developing when I was at Doteveryone. I worked on a Diversity Reporting Tool which unfortunately was never published because the sponsor of the work left the organisation. It was great to see Omidyar publish something this week on how they are thinking about diversity, equity and inclusion. A User Manual For Me is a great way of sharing the basic needs and working preferences each team member has. It’s a useful and different way (from the introduction activity) of getting to know a new team and it’s even a useful exercise for teams who have worked together for a long time — you might work with someone every day but still overlook, or incorrectly make assumptions about, their work habits. Documenting how our confidence and understanding is shifting about digital grant making. 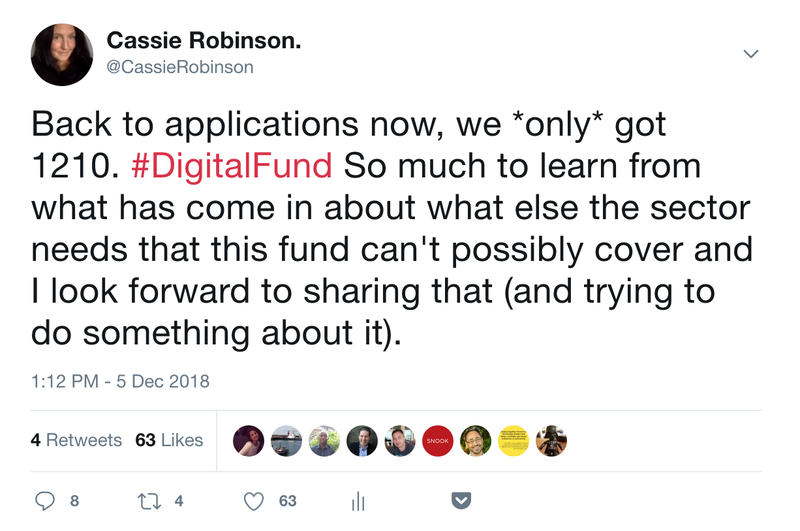 I’ve talked before about how my role includes building the confidence and digital understanding of my direct team, and the wider Big Lottery Fund, to make digital grant decisions. I wanted to try and document and track how that kind of change is happening, and so created a Typeform as a starting point. I asked all the team members to complete it. It’s a first attempt and whilst it’s too long and the questions need refining, it was a useful start. I used these two blog posts from Alix Dunn and Doteveryone, as starting points. 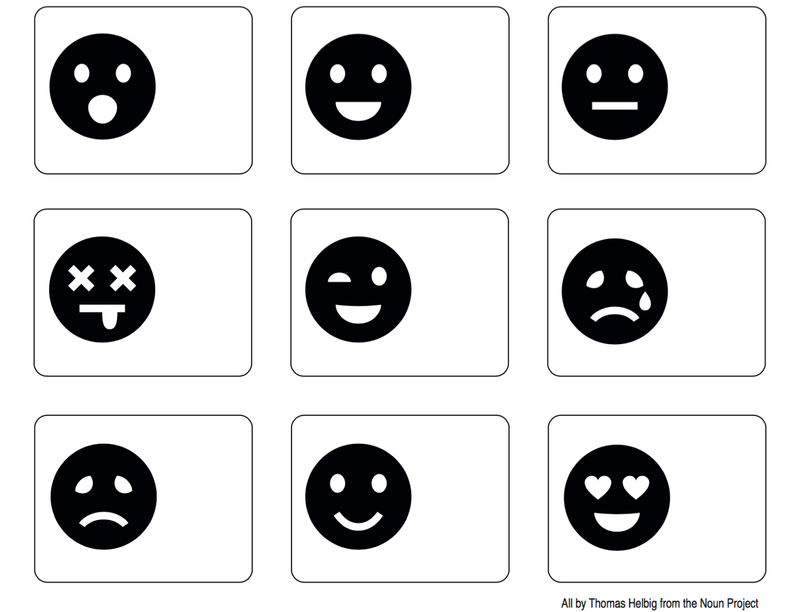 Emotional mapping and building greater awareness of how we feel and why. We ran out of time to look at the Funder Journey map I’d created last week, and to map our current emotions on to it. We will do this though as developing self-awareness is helpful in understanding what’s to come, and giving language to express feelings. Lastly I ran a session on Designing Engagement which is important for spreading learning and “socialising” new norms through an organisation. 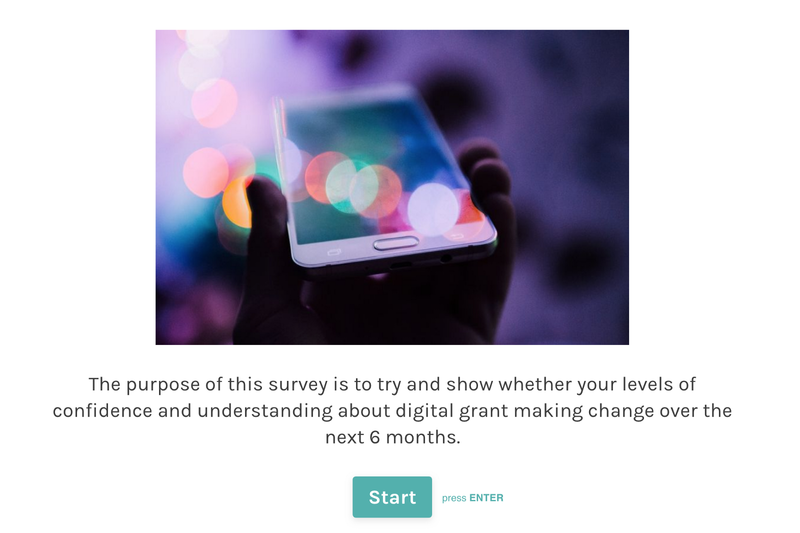 Imagine something like a mini-campaign or movement that helps build an organisational understanding of what good looks like when it comes to digital grant making. We first defined what success would look like and also talked through what had worked before in the organisation in terms of organisation-wide learning content. We came up with a bunch of ideas for micro-experiments and a list of “influencers” in the organisation, and we each agreed to take on different parts of the engagement strategy for a shared sense of ownership in the process. All the templates for the different activities are in this folder here. We have good diversity in terms of age — an almost even mix of people in their 20’s, 30’s, 40’s and 50's. We have good diversity in terms of class too — we nearly all went to state school and half of us were the first people in our family to go to university. 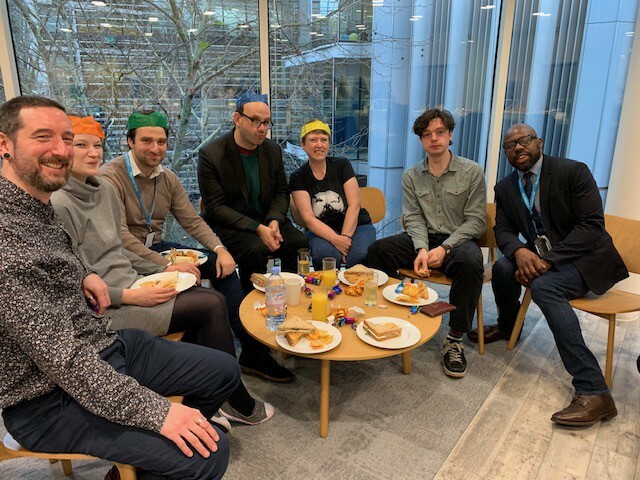 Within the team we also have people with care responsibilities (beyond parental ones), people managing health conditions, and a few of us don’t identify as heterosexual. Through doing a User Manual For Me, we designed how and when we wanted to communicate with each other. This was helpful for establishing what we want to use Teams for (a Microsoft rip off of Slack that is nowhere near as good), what we want to use Whatsapp for and how we might use Yammer within the wider organisation. We also surfaced who tends to “always be on” in terms of work, who has set hours and who is adaptable — all are okay. When talking about ways of working together it wasn’t enough just to say “we will trust one another,” we also asked “how will we know we have trust, what does trust feel like and look like?” It also felt important to discuss how we’ll be when things get difficult or stressful, and when we need help, how we’ll let others know. Towards the end of this conversation Cath revealed she has a reputation for being too chatty and that we will need to tell her to “shut up” sometimes. That opened up the space for each of us to share one of the things we can be known for that isn’t very positive. There’s quite a few I could have chosen(! ), but I went for the fact I don’t often remember to, or find it very natural, to give regular positive feedback or reassurance to the people I work with and line manage. I tend to trust people and believe they’re doing a good job (and don’t vocalise that), which skews what people do hear from me — when something hasn’t worked so well or needs improving. I’ve been trying to remember to say positive things to people more often along the way! Back to the grant making — we’ve had people get in touch who are disappointed in the decisions we are making. It’s *hard* saying no to people— and yes I know it’s harder for them, but this isn’t a competition. Saying no to any organisation, if you think what they’re doing is important, necessary and making a difference, but doesn’t fit in to the funding criteria, is hard. There is no quick way of getting through 1210 grant applications. In Nesta’s 10 future predictions for 2019 they talk about innovation funding being increasingly randomised. Long, peer-review evaluation systems are thought to be the most rational way to distinguish promising proposals from dead-end bids. But in 2019, we predict that more organisations will begin to experiment with a new approach — randomly-allocated research funding. This week I got to have coffee with one of the UK Funding Committee team, who I had met years ago when I was doing the Citizen Census and LondonScape. It was good to hear more about how the committee works, as whilst I will take applications to the committee and can make strong recommendations, ultimately it is the committee that has the final funding decisions. I’ll write more about how the committee works when I experience one in the new year! We are celebrating being together in person for the first time – can’t you tell from those happy faces 😉. I loved discovering that on the team there are 3 science fiction fans (one has even written a Sci-fi book) and nearly all of us have our roots in the North of the UK. Head of Digital Grant Making at The National Lottery Community Fund & Co-founder of the Point People. Previously Strategic Design Director at Doteveryone.